Fall, more than any other season, seems to have the most iconic foods. The pumpkins! The apples! The caramel! You get the point. And if any grocer leans into this the most, it鈥檚 Trader Joe鈥檚. Year after year, the chain brings back and adds new festive foods to get us all in the mood for sweaters and hay rides. Honestly, it鈥檚 kind of working! We took a stroll through the store to find the most over-the-top fall-themed items and now all we want to do is cozy up with a mug of hot apple cider. Love it or hate it, you know that candy corn is quintessentially fall. 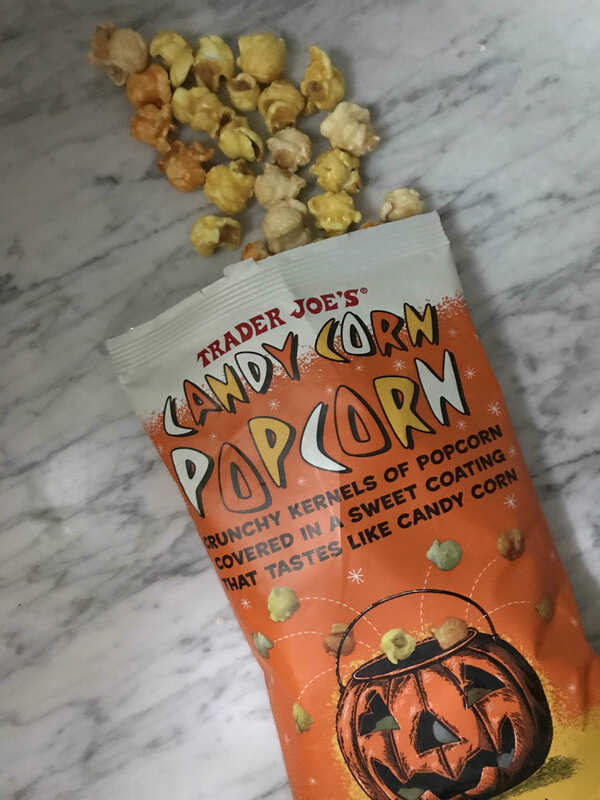 This festive popcorn tastes like Cracker Jacks, only way sweeter. On paper, this idea is pretty out there. Ditto for it in reality. Apple cider donuts are not really over-the-top, but they are classic and a very-necessary fall staple, so we had to include. 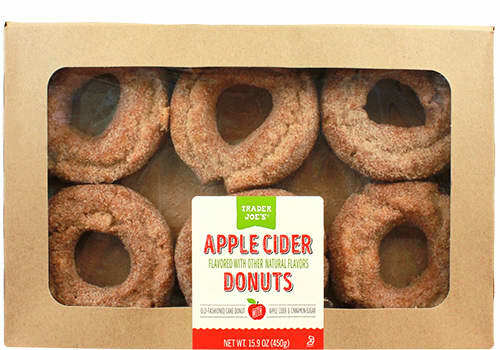 These are made for Trader Joe鈥檚 in partnership with a family-owned bakery based in Western Massachusetts and with real apple cider. 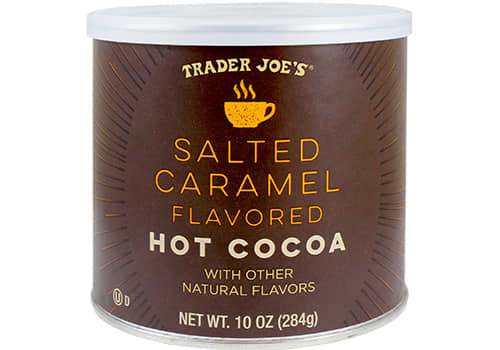 鈥淭he final result 鈥� when mixed with hot water or milk 鈥� is the warm, liquid manifestation of our ever-popular Dark Chocolate Sea Salt Caramels,鈥� promises Trader Joe鈥檚. What鈥檚 not to like? 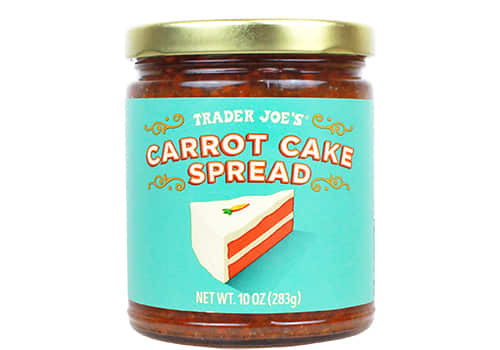 Carrot cake 鈥� as a spread? For those mornings when you want dessert but decide you should not have dessert in the mornings. This stuff is a mix between a jam and a butter and tastes like sweet carrots, warm spices, raisins, with accents of molasses and vanilla. Smear it on your breakfast scones or muffins, mix some into Greek yogurt, or make a sandwich with it and some cream cheese. 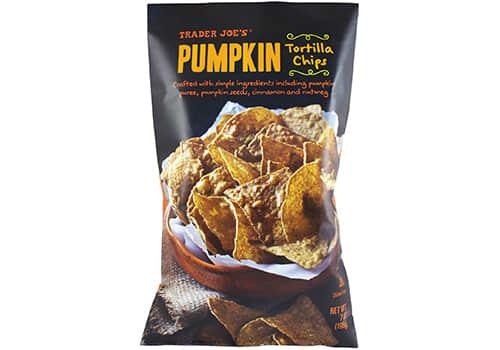 Tired of regular ol鈥� tortilla chips? 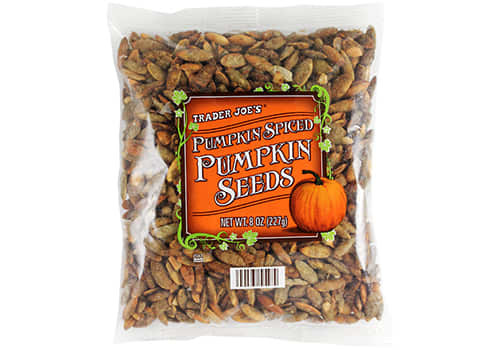 These are made with real pumpkin pur茅e and pumpkin seeds. They鈥檙e extra crunchy, sweet, and sturdy enough to stand up to whatever dip you鈥檝e got on hand (TJ鈥檚 suggests their Fall Harvest Salsa, Pumpkin Cream Cheese, or Pumpkin Greek Yogurt). Back for a fourth season, let鈥檚 go ahead and call this the Most Meta Snack to Ever Exist. Pumpkin seeds! That taste like pumpkin spice! To make them, the seeds are roasted and then glazed with butter-sugar toffee and seasoned with traditional pumpkin pie spices (cinnamon, ginger, nutmeg, and allspice). 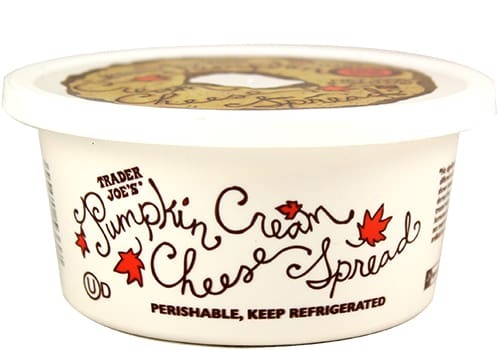 Around seasonally since 2010, Trader Joe鈥檚 Pumpkin Cream Cheese has a fanatical following. 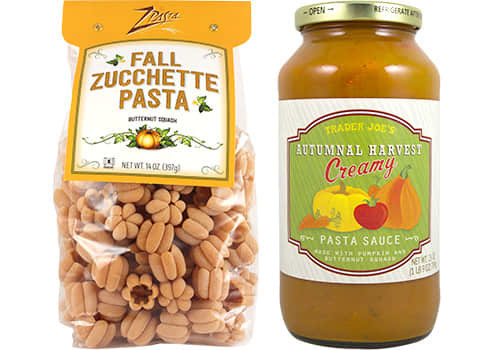 Shoppers love to put this stuff on bagels, English muffins, toast, apple slices, cookies, pumpkin bread, and more. Imagine cinnamon rolls. Now imagine them with pumpkin pie. And that鈥檚 these rolls. 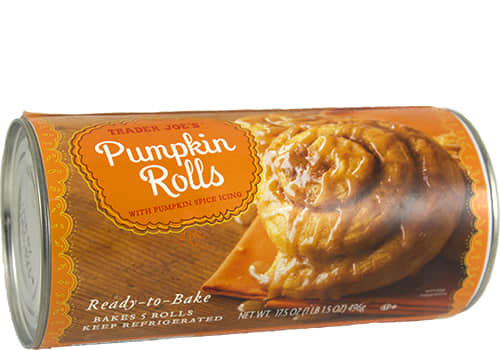 Back again, these rolls are made by the same supplier that makes the cinnamon rolls for Trader Joe鈥檚 鈥� only they鈥檙e way more pumpkin-y. They even have a pumpkin spice icing situation. 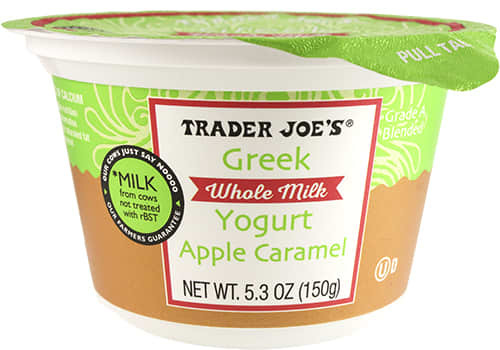 Another returning favorite, this Greek yogurt is thick and creamy. It tastes like dessert and still manages to have 11 grams of protein per serving. Eat it right out of the cup or as a fruit dip for apple slices. 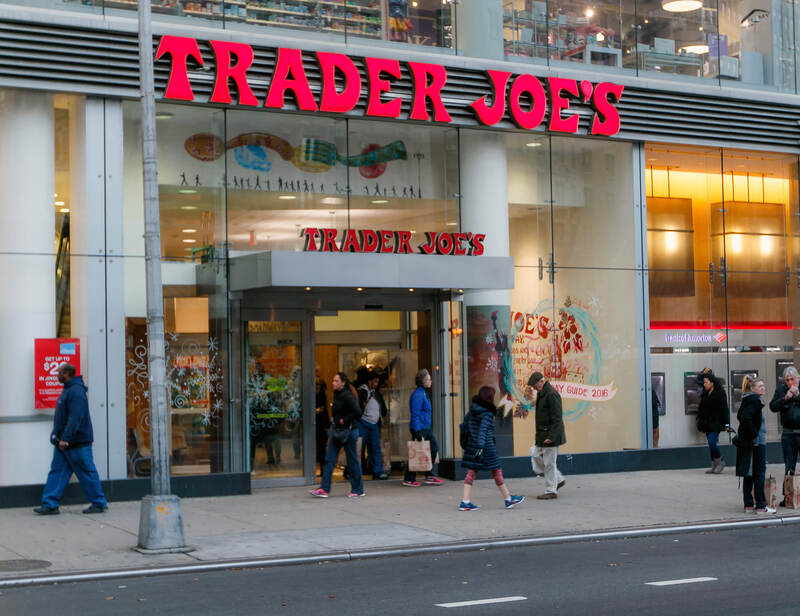 鈥淭hey just work so well together, we can鈥檛 seem to split them apart,鈥� says Trader Joe鈥檚. And they really shouldn鈥檛: The sauce is tomato-based with extras like pumpkin, butternut squash, carrots, and a touch of cream. While the pumpkin-shaped pasta (it gets its orange color from paprika) creates little pockets practically designed to scoop up the sauce. The two together = perfection a bowl. It鈥檚 technically sweater weather, but maybe you still want to keep eating ice cream? 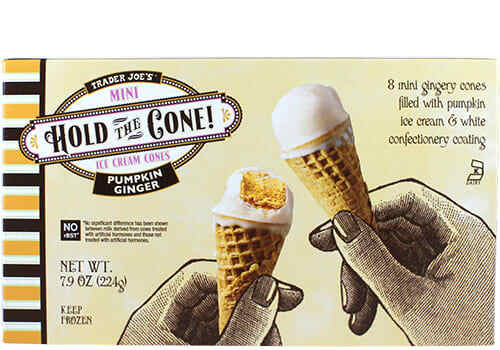 The cones are ginger-flavored, the ice cream is pumpkin (with ginger, nutmeg, cinnamon, and cloves), and the ice cream is covered with a sweet coating of sugar, coconut oil, and vanilla.